The deadline for students to submit application forms for CAT1 and CAT 2 Bursaries to community networks is MAI 21, 2019. The deadline for students to submit application forms for CAT3 Bursary to community networks will be announced shortly. In a government recognized educational institution located outside their region. In a government recognized educational institution located within their region. Students who are awarded bursaries must commit to working in their home region following the successful completion of their studies to work for a minimum of one year in a public health and social services institution or related organization. University: Up to $10,000 per student registered for full-time studies. Cégep / college: Up to $5,000 per student registered for full-time studies. University : Up to $5,000 per student registered for full-time studies. Cégep / college: Up to $2,500 per student registered for full-time studies. Students wishing to apply for the Bursary Program must submit their application forms to the contact person at the participating community network in their region. See the list of participating community networks and contact persons in Category 1 and Category 2 Bursary Application Guide. Registered in distance and online training programs. 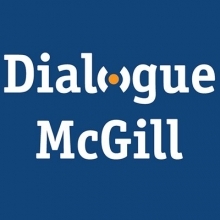 Agree to participate in any follow-up, monitoring or evaluation of the Program conducted by Dialogue McGill and/or the community network. The community network is responsible for ensuring that the students meet the Eligibility Criteria. The 2019-2020 bursary application period is here. Please download the forms you need and fill them out for a complete application. Ensure that you have the latest version of Adobe Reader or Adobe Acrobat. YOU CAN GET A FREE COPY OF ADOBE ACROBAT READER FROM THE ADOBE WEBSITE. IT IS AVAILABLE FOR WINDOWS, MAC AND ANDROID DEVICES. The deadline for students to submit application forms for CAT 3 Bursaries to community networks will be announced shortly. To measure the Bursary Program’s impact and ensure it meets its objective to promote better access to health and social services in their language for Québec’s English-speaking communities, Dialogue McGill mandated researcher Marie-Pierre Gagnon, PH.D, from Université Laval’s Nursing Faculty, to conduct a bi-annual monitoring with bursary recipients and with the community networks which sponsor the Program.